During the slow season is when the parks like to get their annual refurbs done. At Islands of Adventure they’ve just completed work on Dudley Do-Right’s Ripsaw Falls and Popeye and Bluto’s Bilge-Rat Barges in Toon Lagoon. 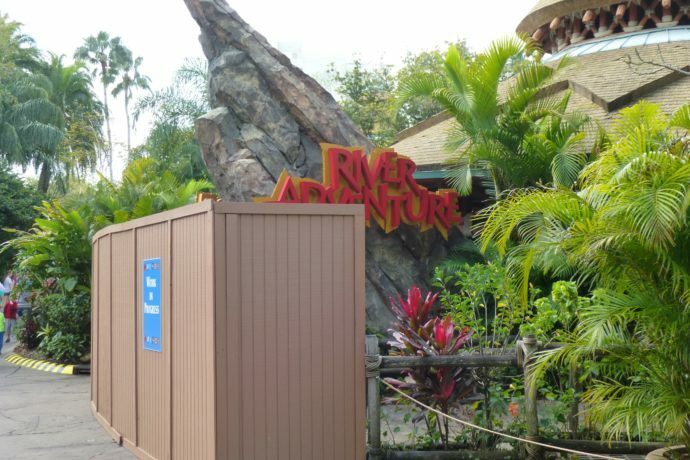 Now that things are all sparkly and new over there they’ve moved their attention to the Jurassic Park River Adventure and surrounding areas. Workers have been cleaning the rockwork at the big drop, painting posts and there are construction walls up all around the area. Everything is going to be all shiny and new just in time for Jurassic World to hit theaters this summer! See the pictures below. T-rex is thankful for all the hard work and dedication in keeping the park beautiful!